First of all, I don’t really feel comfortable saying Christmas to refer to the holidays because of my conviction that the celebration did not really originate from the birth of Jesus Christ as in my earlier belief. Nevertheless, I do not intend to argue about this conviction with non-believers either. I just felt it shorter and finer to use “xmas” in the title so pardon my usage of the acronym. Finally, I am neither against “xmas” as I have previously mentioned and constantly explained to other people. In fact, I regard the whole month of December as festive due to the celebration because I, myself, have always been a beneficiary to the benevolent nature that everyone acquires during this season, from gifts, to 13th month and bonuses and of course, vacation! End of intro. For this year’s holidays, I’ve got a handful of gifts from friends, co-workers and families. Various gifts that were equally delightful to me, consumable, useful or decorative they may be. But the best gift I received was of bias choice of course (please forgive my impartiality). But the best gift I received in my opinion were from my husband and kids. 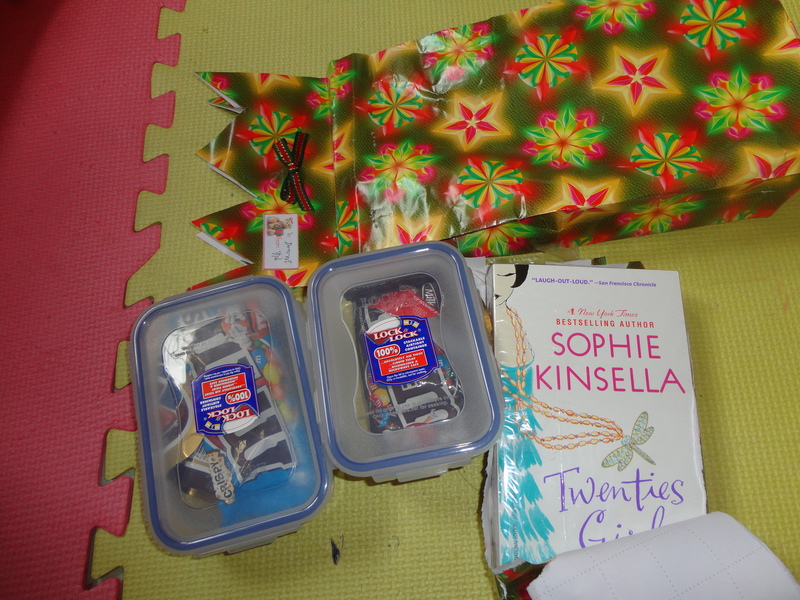 These were Lock & Lock lunch boxes, which were larger than the one I currently own, with chocolate treats inside that made the gift sweeter and Sophie Kinsella’s the Twenties Girl! The first one, Nilo knew what I needed. He had always been feeding me more than I can normally consume to fatten me up hehe. While the second one, Nilo knew what I wanted. He knows I love to read but he’s clueless of which book. Since I’ve been reading good reviews about this one, I made it a point to give emphasis to it, and though I hinted what I wanted to receive, I was honestly surprised when he’d actually made it real hehe. 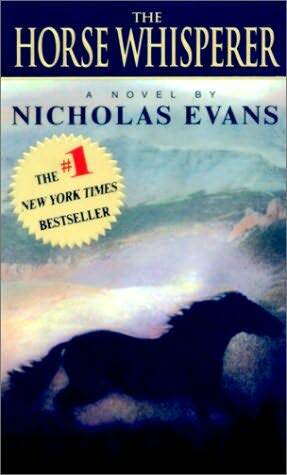 Overall, T he Horse Whisperer (by Nicholas Evans) had been a fresh novel to me, a diversion from my usual preferences of suspense crime stories and heart warming inspirational dramas. The novel left me a bit reflective afterwards, if not a bit disappointed for it did not serve my expectations. In fact, as I was reading the book’s synopsis, I was trusting that the story would fall under my second preference, an inspirational, and that I’d pick up a few values when I’m done. It was a bit frustrating to discover that the novel was actually more of a love story, a genre I liked least. Nevertheless, credits are given to the synopsis provider who effectively disguised its real contents and to the film maker who made the book a little more interesting to readers than it should be. In fairness, the novel did start grippingly. What was supposed to be a relaxed no-school winter day for teenager Grace and her horse Pilgrim ended tragically in an accident maiming both of them drastically and killing her friend Judith and her horse Gulliver. I started the book with much hankering as to how the story would be resolved for the girl and for the horse as well, whose crucial mending was linked to his owner’s. I believe that this is the most emotional part in the story, for although both girl and horse were recovering physically, they were both disintegrating internally. This was the matter which Annie, a strong-willed woman whose success in career is substituted for her gradually failing role as a mother, struggled to resolve. And so she readily gave up a few weeks on work, bringing her daughter and the horse along, to camp in the horse whisperer’s ranch in Montana. Tom Booker has the expertise with horses that has got problems with their owners, with an emphasis that the problem is the owners not the horses. At first, he was hostile towards Annie although he was also able to patch things up a little between her and her daughter. But a sad turn out of events caused Booker and Annie to fall in love with each other, damaging the mother-daughter relationship before they were even restored. This reduced my enthusiasm towards the end. Anticlimax number one, the story would never be resolved for Grace and Pilgrim after all. Sure, they mended and were able to face a resurrected future. But the price was great and the recovery wasn’t even attributable to the troubles they underwent with camping at the ranch. Personally, I believe the healing part was because Grace realized that there were no resolutions to her tragic accident except acceptance, just as Pilgrim was left no choice in the end except to give in and let Grace ride again. Number two, I learned that Robert, the loving husband and dedicated father, had not been explored fairly as a character because in the end, he would just be dumped without good reason. His being urban should not have been blamed for being replaced forever by country man Booker. Number three, their illicit love affair could not be excused by Annie’s re-discovery of life or for Booker’s second chance at love that he nonchalantly threw away with his first wife. And the antagonistic way Booker’s sister-in-law always tried to get in between them should not have displayed the character as disdainful, no matter if her reason was jealousy. 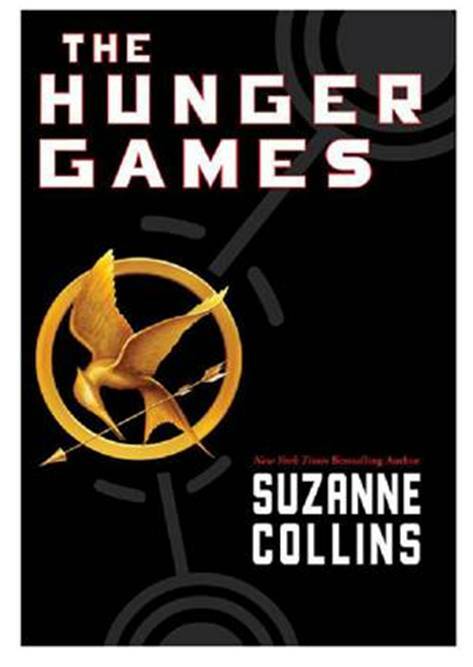 The story and characters twisted in an unfashionable way however it made the story very authentic. Its realistic approach is in itself a credit, nevertheless, just as a person would react to the situation, perhaps he would not also like the turn out of events. In the end, one’s anger towards Booker would subside when he offers his life to save Grace. But Annie, having Booker’s son, had been permanently tainted slightly but may be pardoned for her character somewhat softened in the end just as a real human being tends to become humble when he commits an un-willful sin. So overall, I was left pondering by the novel, trying to level and reason things out as if I had been the one to commit the infidelity. Perhaps, this is actually acceptable to me, forgivable in some sense, but its effect on the characters and the story itself made me want to go back to the beginning of the story and change major things including a weekly visit from Robert or perhaps forcing Pilgrim right from the start to just let Grace ride again. But then again, I shouldn’t have expected something different if the synopsis had hinted that this was an illicit love story… I was thinking, I may not have read this book at all if that had been the case.